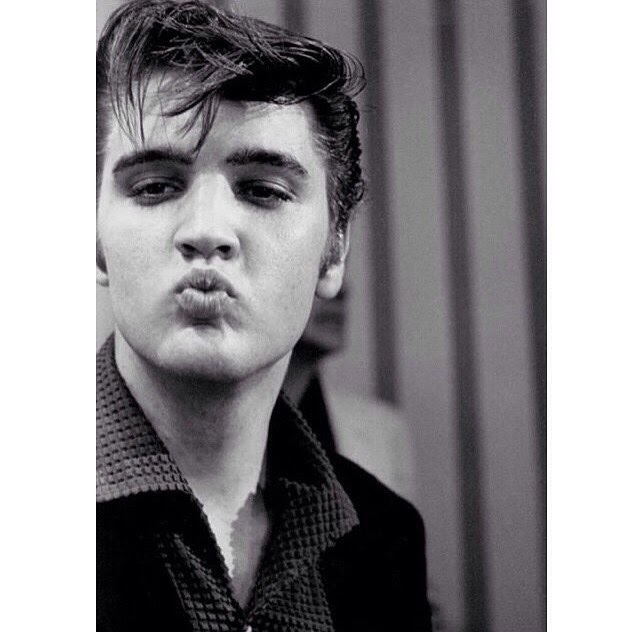 Its about time I did a blogged about 'facts on Elvis'. I think he's an incredible singer and thought it was about time to do a blog post on my favourite interesting facts. Lets begin shall we? 1. Elvis's famous black hair was dyed, his natural colour was born. 2. Elvis purchased his first guitar when he was 11 years old. He wanted a rifle but his mum convinced him to get a guitar instead. 4. At 18, Elvis paid $4 to make his first record. It was a gift for his mum. 5. In 1954, Elvis auditioned for a gospel quartet named The Songfellows. They said no. 6. Elvis recorded more than 600 songs but did not write any of them. 7. His nickname for his manhood was apparently 'Little Elvis'. 8. His breakthrough hit was Heartbreak Hotel, realised in 1956 - a song inspired by a newspaper article about a local suicide. 9. Elvis was 6 foot tall and wore size 11 shoe. 10. Elvis bought his mansion, Graceland in Memphis, TN in 1957 for $100,000. It was named by its previous owner after his daughter Grace. I hope you learnt a little bit from this post.